Preheat oven to 350*C. Butter a baking tin. 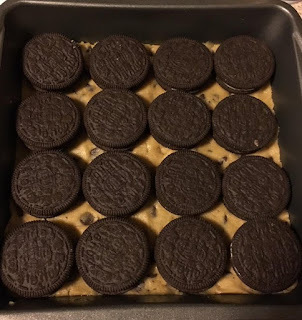 Layer the cookie dough evenly. Bake for 30 minutes. Let cool completely. Slice and be happy.